The longer that I practice yoga asana, or the yoga poses, the more I find myself wanting to add the other limbs of yoga into my practice. I’ve been doing more and more research on meditation and the other week I listened to an awesome discussion on the Tim Ferris Show podcast between Tim and world-renowned meditation teacher Sharon Salzberg. One of the main things that I’ve struggled with in my meditation practice has been the feeling that I am bad at it, and this feeling has caused me to drop it many times. It was my understanding that during meditation the mind should be a blank canvas and all thoughts should be “let go.” As we all know, this is easier said than done. Sharon discusses that the benefit of meditation comes from the practice of continuing to draw the mind back to the breath, over and over again. Although there are certain goals to work towards, I believe it is important to start where you feel comfortable, so that you don’t give up altogether. For me, this means starting with how I sit, making sure that I am relaxed, and my back is supported so that I don't have that to distract me. I used Insight Timer meditation app to help me because it has a variety of sounds that you can choose to start and end your meditation. I also recommend turning your phone on airplane mode so that the ever exciting text message beep doesn’t distract you. In the beginning the longest I could imagine sitting still for was 4 minutes so that is what I started with! As I became more comfortable, I have since been able to extend my time, as well as sit away from a wall, in half lotus. Meditation is one of those things where it doesn’t seem to be making a difference while you’re doing it, but over time, I have noticed changes in my thoughts and actions as a result. I now set my alarm earlier than I need so that I can do my meditation in the morning, before I eat breakfast and/or start working and interacting with people. I can honestly notice a difference in days where I don’t meditate! 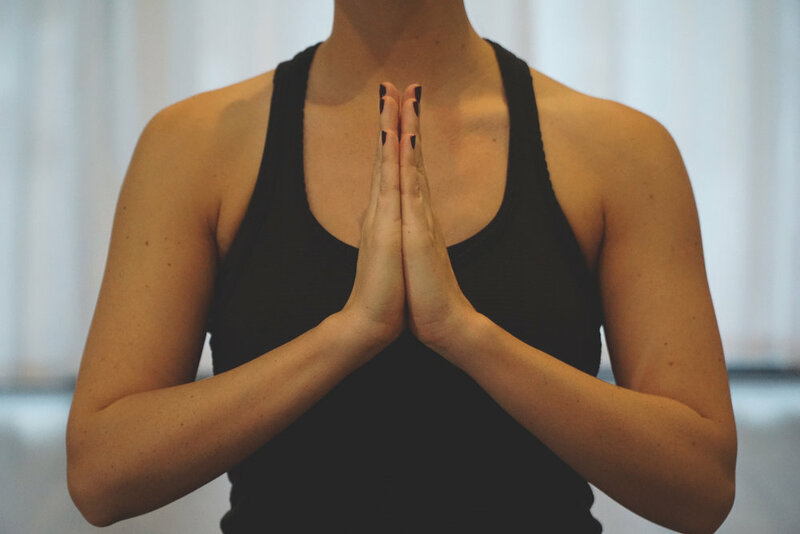 The benefits of yoga continue to surprise me and for anyone looking to deepen their practice, I definitely recommend adding a morning meditation into your daily routine.